Llyn y Ffan, the Lake of the Small Hill, is to be found in the Black Mountains of Carmarthenshire in south Wales in the Brecon Beacons National Park. The whole location is stunning. At an altitude of 1660 ft. one is surrounded by breath-taking Welsh landscape at its best AND something else is in the air. That something else obviously inspired the early writers of the 14th century Red Book of Hergest, one of the most ancient manuscripts in existence. This writing is a large vellum manuscript now kept at Jesus College, Oxford, dated around 1382, and containing Welsh prose and poetry including the tales that make up the Mabinogion cycle. Within its pages is also a Welsh translation of Geoffrey of Monmouth’s British History and a collection of herbal remedies under the title The Physicians of Myddfai. The folklore legend connected to Llyn y Ffan is The Lady of the Lake where a beautiful woman rises out of the lake to marry a local man on condition he does not strike her more than three times. Of course, although he loves her, he does commit this folly and the karmic retribution follows! This tale is linked to the Physicians of Myddfai story from the Red Book. Feeling into this story at the lake, 95 ft. deep and ten hectares long, one can be accompanied by red kite, buzzards, kestrels and ravens – messengers on the wing – and feel that the beauty of this lake connects one to both ancient Earth stories and cosmic influence. 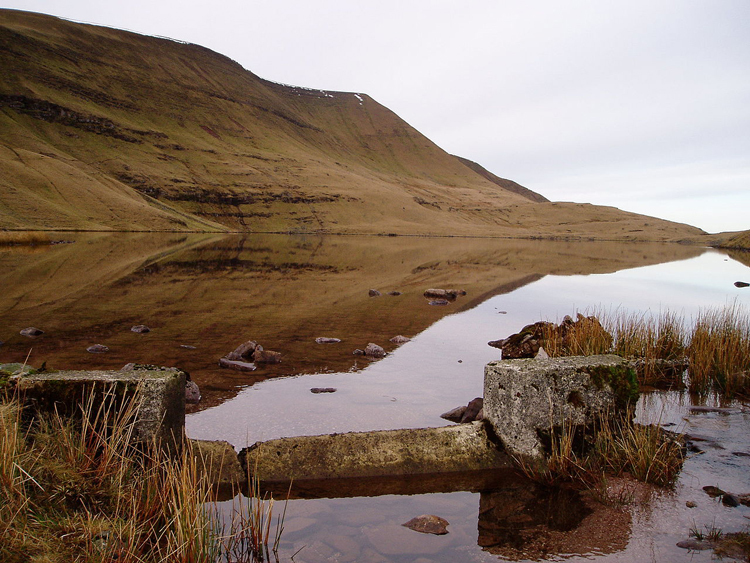 On the breconbeacons.org site a visitor posted a common response ‘Wow,Wow, Wow.’ The Lady of the Lake is known as a sorceress in the Matter of Britain, often taking two identities as Nimue and Vivienne, and playing a pivotal role in many of the Grail Romances. Other contenders for the home of the Lake would be Dozmary Pool in Cornwall, Pomparles Bridge in Somerset and Llyn Ogwen in Snowdonia.